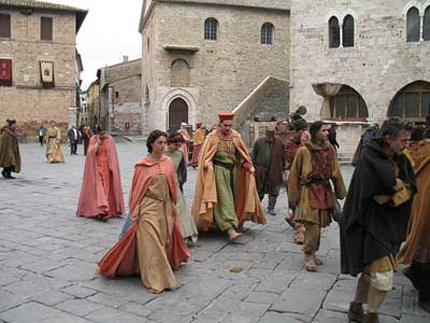 Bevagna has roman origins and it became a roman municipium by 90 B.C. 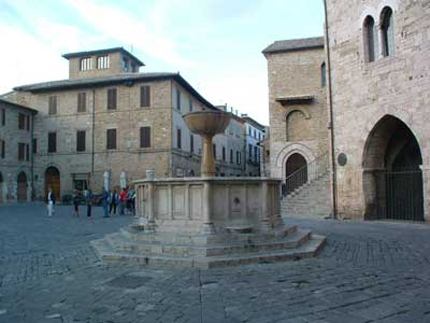 The centre of the town is piazza Filippo Silvestri, one of the most harmonious squares in Umbria. In this square there are Palazzo dei Consoli of the XIII C. and the Teatro Torti of the XIX C. with decorations by Domenico Bruschi and Mariano Piervittori. There’s an arch built in the 1560 which connects this palace to the Romanesque church of San Silvestro. Opposite there’s the parish church of S. Michele between the 12-13 century. The wonderful façade has a central portal signed by the masters Rodolfo and Binello. In piazza Silvestri, beyond Palazzo dei Consoli, there’s the church of S. Domenico e Giacomo which preserues paintings from the XIV C.-to the XVI C. by local painters. Its XVII C. cloister is now part of a simple hotel. The neoclassical Palazzo Lepri houses the city museum. 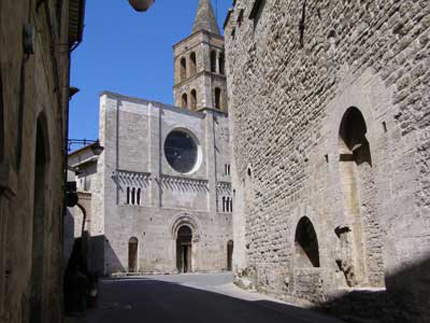 The church of S. Francesco is in the highest point of the town. In Garibaldi’s square there are remains of a roman temple later converted into a church. In porta Guelfa’s street there’s a wonderful roman mosaic with marine creatures. The most important festival of the town is called the Gaite. 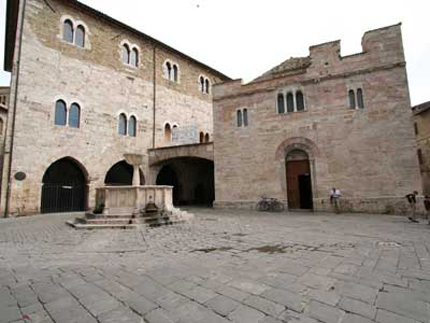 During this period artisans’ workshops are reconstructed as they were in medieval times and the inhabitans produce local handcrafts which are sold in the street. Every evening taverns serve traditional local specialities.